When I was in college, each spring I ran into the problem of having a fridge full of fish but no deep fryer to complete my favorite fried fish recipes. Let’s be honest, we all know the traditional baked lemon pepper fish recipes are a little overdone. So, I decided to create my own recipe. Rinse crappie and pat excess water with paper towel. Heat vegetable oil in a large saute or frying pan over medium heat. Combine flour, salt, black pepper and cayenne pepper in a small bowl. Set aside. In another small bowl, beat the eggs and add milk. Set aside. Combine bread crumbs, garlic powder and parmesan cheese. One at a time, coat the fillets in the flour mix (first bowl), dip in the egg/milk mix (second bowl), and then the bread crumb mix (third bowl). Pat to ensure the bread crumbs stick. 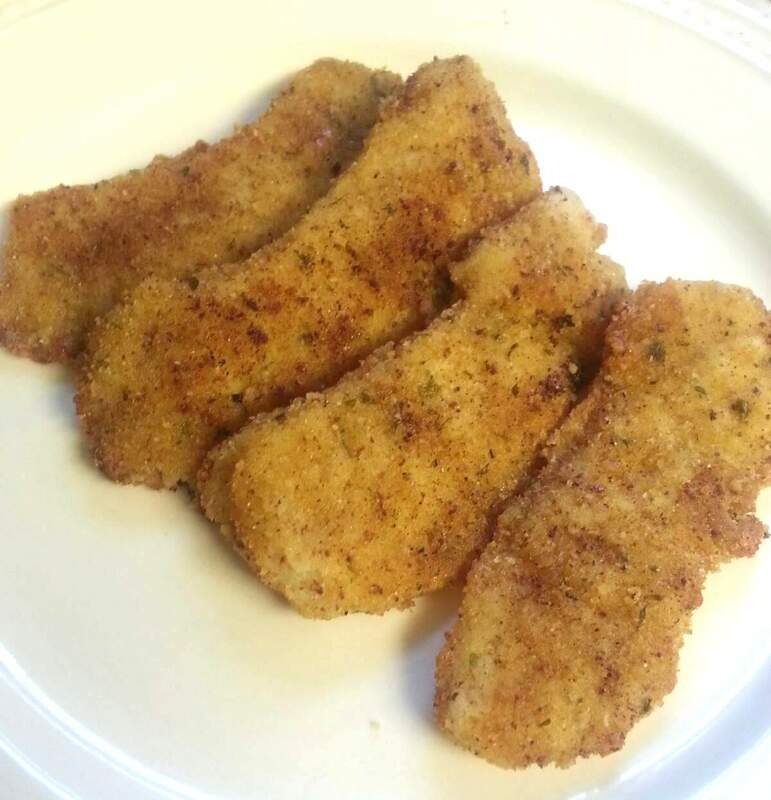 Reduce the heat to low and lay the breaded fillets in the oil. Cover. Cook for 3-5 minutes and then flip and cook for another 3-5 minutes until both sides are golden brown. Set the golden brown fillets on a plate covered with a paper towel to soak up the excess grease. Serve with ketchup or tartar sauce. Reheating: Cook any leftovers on a cookie sheet in the oven at 425 degrees for 10 minutes, flipping midway through.